2019 Season Opens April 27th! Fly! 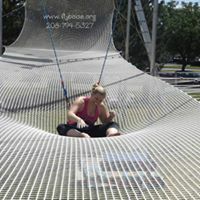 Boise is a center for aerial arts instruction in Boise, Idaho. Center stage at Fly! 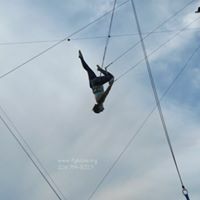 Boise houses the flying trapeze rig. 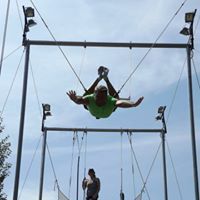 Participants of nearly all ages and abilities will safely climb the ladder to the pedestal and be guided by 3 flying trapeze professionals to accomplish a trick which matches the flyer's ability level, culminating in transfer to a catcher on a separate trapeze and a gentle landing in the safety net. Beginning classes require no special skills; serious flyers may accept the challenge of ever-increasing levels of difficulty.